Terotest is very pleased to announce that is has been chosen to distribute the full range of Marvin Test PXI products in the UK. Located in Irvine, California, Marvin Test is a global producer of PXI and PC-Based test equipment and test solutions. They develop and manufacture 'off the shelf' and custom products and solutions for automated test, research, design and manufacturing applications. Marvin Test boasts an impressive selection of PXI instrumentation and systems, including multiple products which have been nominated for ATE awards. We are delighted to announce that Terotest has been selected as the sole UK distributor for Acculogic's superb range of Automatic Test Equipment. This includes the Flying Scorpion range of flying probe test systems, the first to feature double sided testing, and up to 24 probe modules. Acculogic also produce the best-in-class Boundary Scan systems, modules and software, based on Teradyne's VICTORY Boundary Scan toolset, which was taken over by Acculogic. 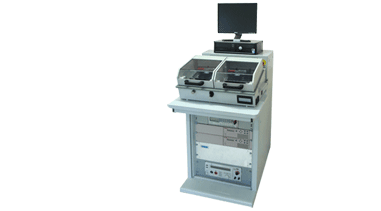 Also available are Acculogic's Scorpion In-Circuit test systems, as well as their XMatic CAD Conversion Software. Marvin Test have recently announced a new range of high speed digital I/O PXI instrumentation, including the GX5055 6U PXI card, with Programmable Logic Level pin electronics and test rates up to 50MHz, and the GX5290 3U PXI card, capable of test rates up to 200MHz. As well as this hardware, Marvin Test have also released DtifEasy, a LASAR post processor, run-time and diagnostic software. This software imports, converts and executes LASAR .tap files, and features Guided Probe and Fault Dictionary functionality. 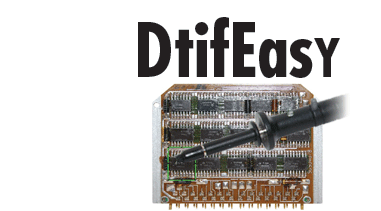 The DtifEasy is also fully compatible with the GX5055 and GX5290 hardware. When a UK emergency lighting components manufacturer started the search for their new common test platform they were faced with the problem of hundreds of product types and an expensive failed attempt to automate in the past.